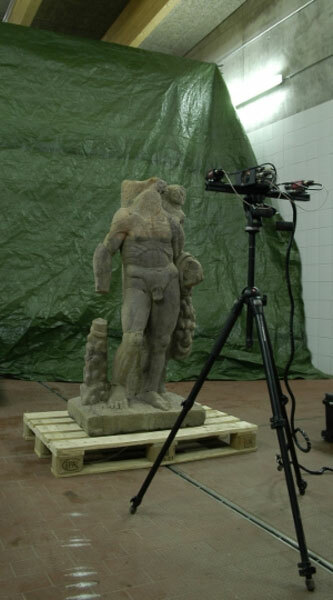 In the extensively examined Vicus of Güglingen, a street sanctuary is being reconstructed, which included – aside from two Jupiter Columns – an almost life-sized sandstone sculpture of the demigod “Hercules”. The statue, along with many religious stone monuments, was recovered in a basement near the sanctuary. Hercules is depicted with a club in the right hand and an apple of the Hesperides in the left. Above the left forearm, he wears a lion pelt, across the chest the band of his quiver. The sculpture unites him with a childhood depiction: on his left shoulder sits eight-months-old Hercules, choking both snakes his step mother placed in his crib. The connection with the snake-strangling scene is a singular creation by a local sculptor. 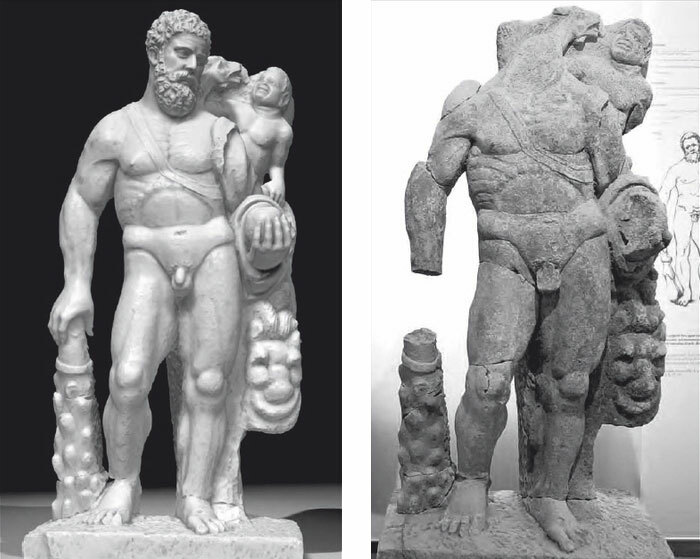 Nonetheless, the statue also relates to an antique type of depiction, the so-called “Typus Herakles Farnese”. Therefore, although the heaad is missing, we can generate a reasonable reconstruction based on respective structured light scans of the statue. Of course, you would have to consider a certain “provincial” simplification of the head, which we cannot include in detail. Nonetheless, the reconstruction should give a plausible impression of the complete statue. This reconstruction result is shown as a 3D-animation in the museum. 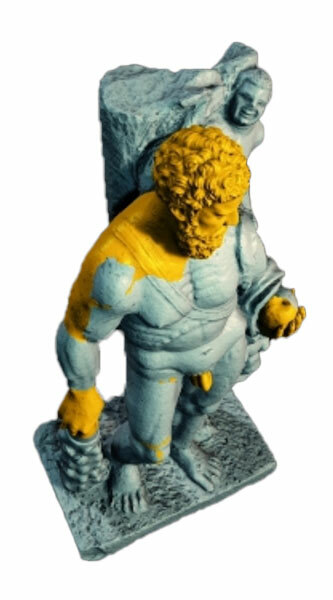 To commemorate this landmark of Güglingen’s Roman history, the museum shop also offers small, scaled figures of Hercules, created from our 3D-data.